This practical introduction to pediatric acupuncture and related techniques explores the important concepts of childhood development and integrates conventional theories with those of Traditional Chinese Medicine. Provides effective acupuncture techniques for treating 22 common childhood conditions, with special emphasis on treatments that are safe, simple, non-invasive, and readily accepted by children. A clear and realistic description is provided for the appropriate use of acupuncture in the treatment of children. Conventional child development theories are integrated with the TCM paradigms to help devise more appropriate and effective treatment plans. Non-invasive acupuncture-related techniques are offered to assist in treating children who have a fear of needles. Treatment plans are provided for 22 common childhood conditions - including asthma and eczema. Concerns and issues related to diet and immunization in childhood are explored. 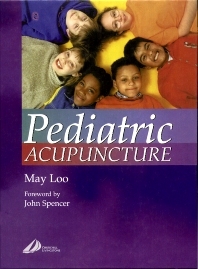 The author is a practicing pediatrician with many years experience in both working with children and as an acupuncture practitioner.